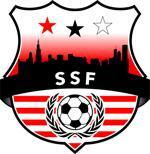 SSF will offer two summer camps. Each camp will provide 6.5 hours per day of soccer related instruction and summer fun between 9am and 3:30pm. Campers must be between 6 and 14 years old at the start of camp. Technical Director, Lorin Spasovici, and Neighborhood Academy Director, Marlon McKenzie, have put together an exciting curriculum and look forward to seeing your kids on the field! This camp will take place on the fields of the Midway Plaisance and in the gymnasium of the Hyde Park Neighborhood Club. A shuttle bus service will take campers between the Midway and the Neighborhood Club. This camp will take place on the campus of Hales Franciscan High School. Registration for each one-week camp is $335. Register now as spots are limited! SSF is also presenting Summer Lab's Soccer Sports Camps: There will be two age groups (Nursery (3yrs) - 2nd grades) and (3rd - 8th grades). The sports camps meet M-F from 3:00pm-5:30pm. Technical Director, Lorin Spasovici, and Neighborhood Academy Director, Marlon McKenzie will serve as the camps' primary coaches and guide a larger coaching staff as program subscription dictates. Register for SSF at Summer Lab.